Increase metal removal rates and shop productivity with customized running parameters specifically for Helical Solutions end mills. Generate specialized machining parameters by pairing your end mill with your exact tool path, material, and machine setup. Access the app quickly on your desktop, tablet, or mobile phone with no downloading or fee required. Take into account the specific material grade and condition of your work piece. Save time by quickly determining your end mill’s optimal running parameters. Enter your machine and setup details to generate personalized Speeds & Feeds. Narrow down options quickly with a convenient Type Ahead feature. Fine-tune depth and width parameters to better suit your machining requirements. Access on a desktop or mobile app, whenever and where ever you need it. Access the app anywhere you need it, even offline, making it easy to adjust your speeds and feeds at the spindle. 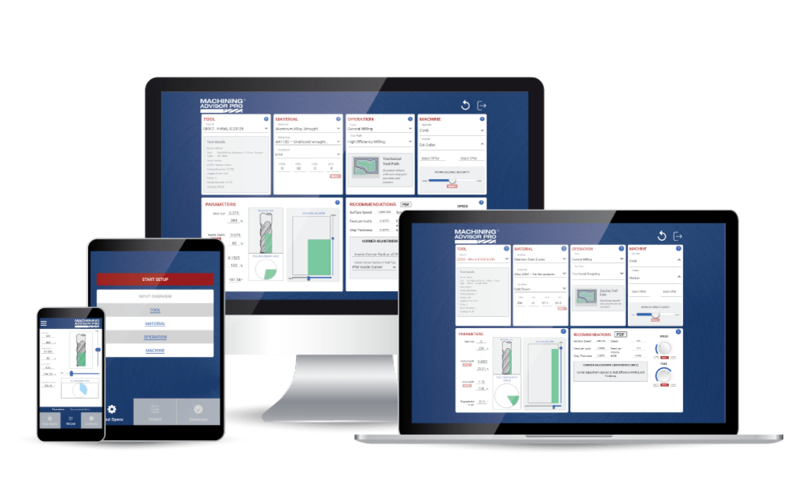 I use Machining Advisor Pro on a daily basis when programming and machining medical implants. There is no more trial and error or guesswork when it comes to feeds and speeds. I input the tool, material, machine specifications, etc. into the Advisor, and it gives me accurate cutting values that I know will be right the first time. Machining Advisor Pro paired with Helical End Mills is the Holy Grail of End Mill Performance. MAP is our go-to solution for High Efficiency Milling and has exponentially decreased our run times as well as increased our tooling life. 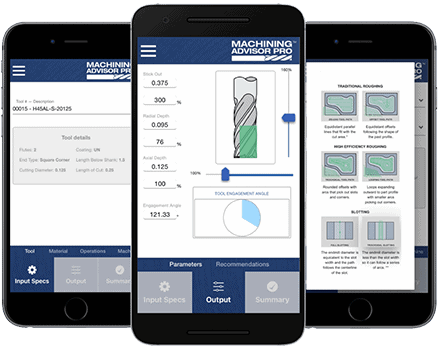 Using Machining Advisor Pro is a no brainer, it’s a standard. Need Help? Please reach out to our customer support team! Please reach out to our customer support team!